Last year I have made several videos with Greek music. I have recently been asked about where to get this music to able to play it. 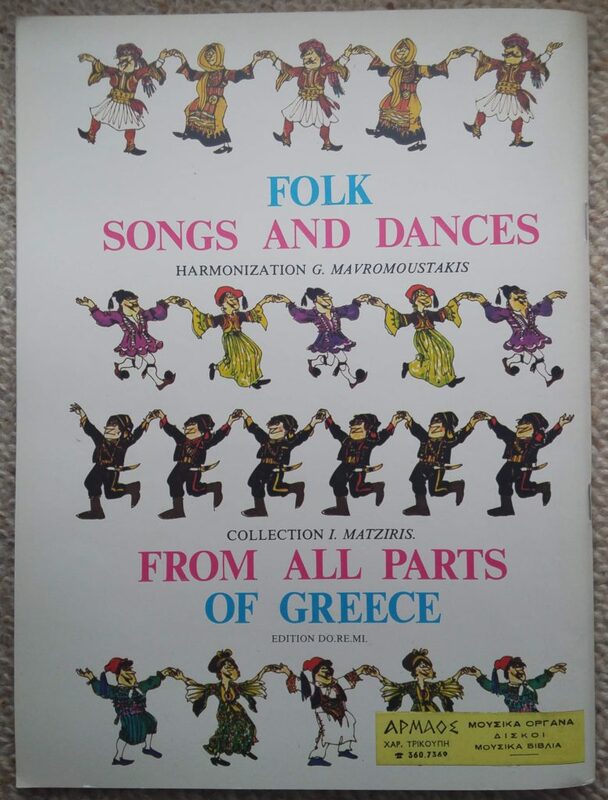 In this post I will give some sources for sheet music of Greek folk tunes. I have found part of this book again at musicnotes.com. 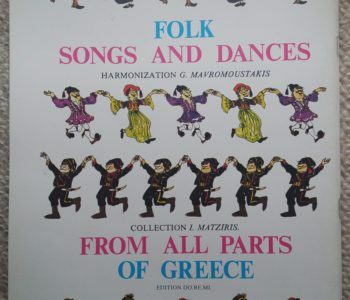 If you search for Greek Folksongs you can find several tunes in the identical easy piano arrangement (by Jonathan Robbins). (you must use the selection “Noten” on the left top side). 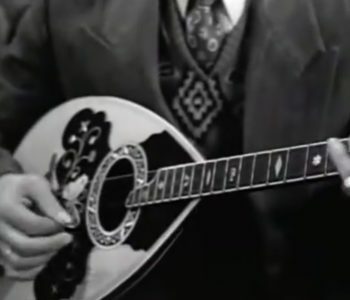 The collection of Greek tunes on the site bouzoukispot.com is also very useful for mandolin players. On the main page you can find more links for Greek sheet music and Tabs. Luis Peixoto and Fernando Barroso have taken part in the Madeira Mandolin Festivals of the last years. Fernando Barroso has just recorded a new album which will be available on January 16. Luis Peixoto was born in 1980 in Coimbra in Portugal, Fernando Barroso is from Galicia in the Northwest of Spain. Both share the love for all kind of stringed instruments like mandolin, bouzouki, cavaquinho or guitar. They have worked together and in different groups with other musicians. During the last days I have compiled a large playlist with recordings by Fernando Barroso and Luis Peixoto. In this post I want to present the music of Luis Peixoto and Fernando Barroso. In 2012 the album POP has been published, a life concert was filmed in 2013 and is available on youtube. 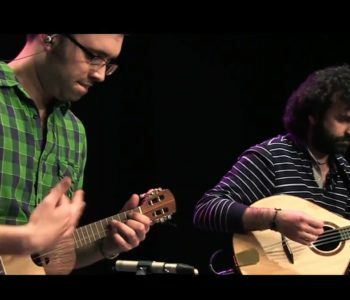 In this concert Fernando Barroso does mainly play the Bouzouki, while Luis Peixoto plays the mandolin, the cavaquinho and some other instruments. I plan to present other project by Fernando Barroso and Luis Peixoto in my next posts. Manolis Chiotis was the most important player of the Greek bouzouki during the 1960s. He played the bouzouki in many movies, and many clips from those movies are available at youtube. Even Jimi Hendrix has been influenced by Manolis Chiotis. Manolis Chiotis has also taken part in the development of the modern bouzouki. If you like the sound of the Greek bouzouki and the typical Greek music you can watch the following videos. I have compiled a playlist with the best clips that I have found with Manolis Chiotis. John Jorgenson is mainly known as a guitar player playing gypsy jazz with his John Jorgenson Quintet. John Jorgenson is known as one of the pioneers of the American gypsy jazz movement. He has performed as a solo artist as well as collaborated with other musicians all over the world. His articles and lessons on gypsy jazz have appeared in prominent guitar magazines and he has given master classes around the country, and he has performed with some of the most respected European proponents of this style, Bireli Lagrene and Romane. His playing has been included on a CD with Babik Reinhardt and Jimmy Rosenberg, and on another featuring Angelo Debarre and Moreno. In 1988 Curb Records released Jorgenson’s After You’ve Gone CD, a collection of Reinhardt- and Goodman-styled 30’s swing, featuring guest artists Darol Anger and David Grisman. 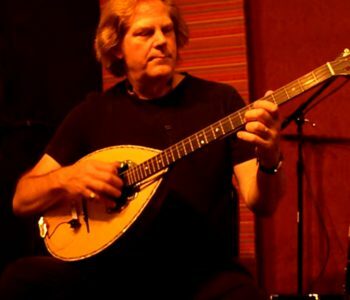 But when I recently discovered the latest NPR concert on Mountain Stage with the John Jorgenson Quintet I saw the picture with John Jorgenson playing a Greek bouzouki. Indeed did John Jorgenson play one piece of the set with the Greek bouzouki. I have collected some videos with John Jorgenson and his Greek bouzouki in my playlist. The Thunder Mountain Boys were hired by Disneyland in 1978. John Jorgenson (mandolin virtuoso) went from knowing a little bit about the mandolin in 1978 to what you hear at the filming of this video in 1981. John’s father was a conductor and his mother a pianist so music came to him naturally, but the talent is all his. Playing oboe as a kid in his father’s classical orchestra John quickly looked to other musical sources for inspiration. The Beatles became an instant obession and the guitar his principal instrument as time moved on. John left the Thunder Mountain Boys in the mid-eighties to create a band with Chris Hillman and Herb Pederson called The Desert Rose Band. By the nineties John’s reputation as a multi-instrumentalist had grown to the point that he was asked to tour with Elton John. Now living in Nashville with his wife Dixie John works as a studio musician backing some of the biggest acts around and he continues to tour with The Desert Rose Band from time to time. Doug Mattocks had gotten John interested in the music of Django Reinhardt in the early eighties and now John leads his own gypsy style band called the John Jorgenson Quintet which tours all over the world. You can hear the John Jorgenson Quintet with gypsy jazz in two concerts at the NPR, I have added the links below.